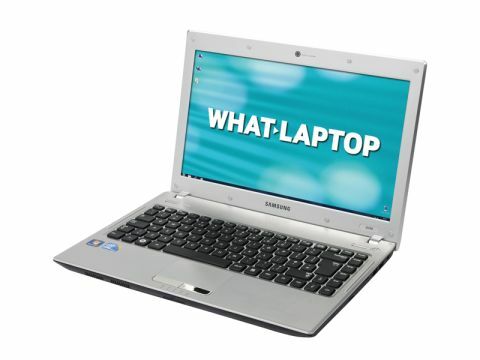 In 2010, Samsung has produced a strong range of laptops, spanning from entry-level portables that offer fantastic value for money, such as the Samsung R730, to excellent Blu-ray multimedia machines, such as the Samsung R780. The Samsung Q330 fits neatly in the middle as a mid-range laptop that packs impressive power and specs for a great price. This 2kg machine just about fits into the ultra-portable category (any laptop weighing 2kg or under qualifies), despite featuring a solid brushed aluminium chassis that looks a lot heavier than it feels. You can find plenty of ultra-portables that weigh less, such as the Sony VAIO VPCZ12V9E/X and the Packard Bell Dot U, which both tip the scales at just 1.4kg. However, with a compact 13.3-inch chassis that measures just 30mm at its thickest point, the Samsung Q330 will still comfortably slip into most bags and briefcases without weighing you down. The Samsung Q330's silver chassis is highly attractive and tough enough to take some punishment. The lid, featuring a streaked black finish, is also reassuringly solid. Unfortunately, it only bends back 45 degrees past the vertical position, which can make it tricky to find a comfortable viewing angle on your lap. An excellent isolation-style keyboard sits atop the chassis, with individual keys poking up through separate holes. This separates out the keys for a comfortable typing experience, while also preventing crumbs and other debris invading the Samsung Q330's insides. It's a solid board and the keys are all well sized, with the exception of the left-hand Shift key, which is a little squashed. The Samsung Q330's wide palmrest also aids comfort, and we found we could type for hours with no strain or fatigue. There's also enough room for a reasonably sized touchpad, which is both smooth and responsive. Beneath the touchpad, you'll find a short row of indicator lights that display when Caps Lock and Wi-Fi are turned on, if the hard drive is active, and if the Samsung Q330 is plugged in and charging.